Enjoy Utah! : FREE Zoo Admission Days! Cold weather is upon us, but it's not all bad! It means FREE ZOO ADMISSION DAYS! 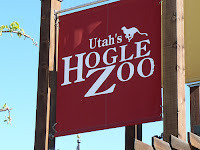 The last Wednesday of November, December, January, and February, everybody gets in to The Hogle Zoo for FREE! No coupons, no tickets, no admission, NOTHING! 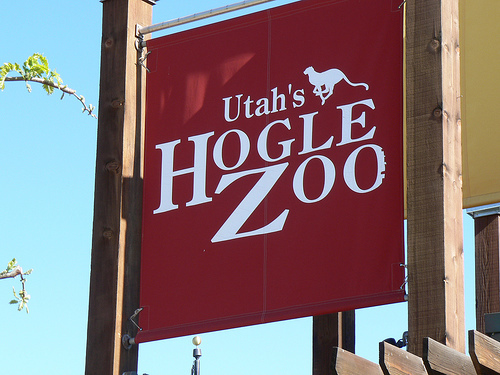 Just drive to the zoo, park, walk in the gates, and spend an enjoyable day at the zoo! We did this last year on the last day of February, and it wasn't even very cold! Just bundle up, take a mug of hot chocolate, and enjoy yourselves! Many of the animals are more active in the wintertime, so you get to see a lot more! We also went on the last Wed. of Feb. last year. I agree it wasn't too cold, and it wasn't packed like it is in the summer time! There are more animals out and you can see them instead of the crowd of people!